Authority and credibility are crucial to gaining attention, respect, and clients for your home business. But as a beginning home-based entrepreneur, you might question why others would want to listen to and hire you. Even if you believe you’re an expert in your field, you might feel inadequate in other aspects of building and promoting a home business. Here are 7 tips to building your expertise, and becoming an authority in your niche. In reality, you don’t have to know everything to be an expert. You simply need to know more than most people. 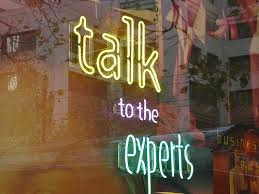 That’s why people come to experts: To learn more about something. In researching your niche, learn its history and evolution. Find out about the top experts, past and present. Study the differing prevailing theories or systems used in your niche. Places to learn about your niche include books, blogs, classes, seminars, and research documents. Visit associations related to your niche online to stay on top of current news and trends. Once you have a basic knowledge of your niche, make sure you continue to learn, with special emphasis on discovering what’s new. You don’t become an expert once you’ve gained some knowledge. Experts continue to study and keep abreast of what’s new in their niche. Book smarts are all well and good, but experience counts for as much, if not more when becoming an expert. You should be active in your niche. If you want to be perceived as an expert blogger, you need to be blogging. If you want to be an Etsy expert, you should be creating items and selling them on Etsy. Other ways to become active in your niche include joining groups and associations related to your niche. Not only does this help you stay knowledgeable and involved, but it also offers great opportunities for networking. No one likes conceit or arrogance. Acting like a self-important know-it-all is a sure way to turn off potential allies and clients (even if you, in fact, know it all). Genuine experts don’t need to brag or show off. They exude their expert status by being helpful, eager to use their knowledge to improve the lives of others. When people go looking for an expert, they not only want to find a person that can help them -- they also want a way to easily learn about this person. Today, you can be listed on hundreds of directories, social networks, and other websites, and while that’s helpful, you should have a single place -- a hub -- that potential clients can visit to get all the information they need about you. A website is the best place to host your hub. While sites like LinkedIn are valuable, you don’t have a much control or customization as you do with your own site. Your website should be informative and engaging. Avoid boring About Me pages, and instead focus on creating a site that showcases what you know and do can help others. What does it mean for potential clients that you belong to industry associations or have earned an award? While you don’t want to appear arrogant, don’t be afraid to toot your horn either. 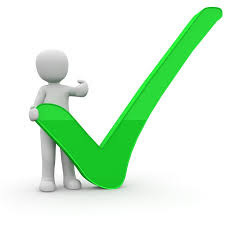 Share the details that make you an expert (e.g., education, certifications, awards), but also share third-party testimonials, endorsements, reviews, and media appearances, as these carry more clout than your saying how great you are. Your site is also a place to show off your expertise in your niche with articles, podcasts or videos. Many would-be experts avoid others in their niche because they think it will hurt them to get involved with the competition. The trick to successful relationships with other experts is to focus on value: How can you help them? 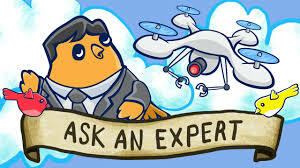 There are many ways to connect with experts including social media, interacting with them at association and other functions (online and off), and offering your assistance. One of the fastest ways to gain attention and expert status is by sharing what you know with others. Writing guest blog posts or articles that highlight your expertise not only drives traffic to your business, but also builds your credibility. Another way to share your expertise is to become a trusted resource of support and information in groups, online and off. Pitch an interview topic in your niche to podcasts or radio shows. Host a webinar or do a seminar at your local Chamber of Commerce or adult education center. Anything you can do to share your expertise and get your name out there is a good thing. Similar to sharing your expertise, free publicity is an effective way to increase your reach and credibility with your market. While sending press releases can work, you can increase your chances of appearing on a variety of media by using publicity resources such as Help A Reporter Out and Reporter Connection. These tools offer free and fee-based services that help media outlets connect with experts for their articles, blog posts, radio and podcast shows, and more.